Push Your Luck Podcast: Magnum sal or sigh? Players are mining for salt cubes and visiting the king to fulfill orders and earn money. Game ends after 3 years and each year ends after 5 orders has been fulfilled. Player with most money wins the game. Why funky? Because some turns during each year we find ourselves having nothing to do but take $1. 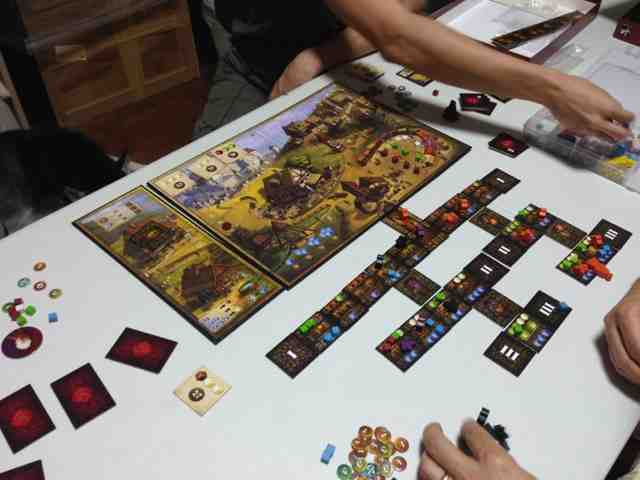 Our Meeples are stuck in the mines and no other logical actions to take. Also it seems to not make much monetary sense to dig out 1 or 2 cubes but have to pay other players along the way to the surface. We all came away feeling very meh about the game. Not recommended.